ISEKI UK & IRELAND LAUNCHED, AS PART OF MAJOR INVESTMENT IN UK & IRELAND MARKETS BY THE RESPECTED JAPANESE TRACTOR MANUFACTURER. The launch of ISEKI UK & IRELAND is an exciting development showing great investment and commitment by ISEKI in these key markets. ISEKI UK ltd is a company formed with investment from ISEKI for the sole purpose of distributing the ISEKI range of products and growing market share and sales in the UK & Ireland Markets. For the last many years, the ISEKI product line has been distributed in the UK and Ireland by Ransomes Jacobsen operating out of their facilities in Ipswich Suffolk. ISEKI would like to sincerely thank Ransomes Jacobsen for all their hard work and dedication over this period and look forward to building on this foundation. The new ISEKI company will also be based in the Ipswich area and joining ISEKI UK in the new year as Managing Director will be ex-President of Jacobsen, David Withers. Withers is well known in the industry having served for many years at Ransomes and Jacobsen and more recently working as a business consultant in the golf industry. More information will be issued over coming weeks and no changes are anticipated to the current dealer network. FEGGA recently had the pleasure of attending the German Greenkeepers Association Annual Meeting. This year they were celebrating 25 years, and in doing so, paid recognition to two Presidents that have taken them through this period. Hubert Kleiner (pictured right) stepped down following 16 years. Here he is pictured with Claus Ratjen, who was President for the first 9 years. Claus was also one of the founders of FEGGA and was Chairman during 2000. Two great ambassadors of our profession. 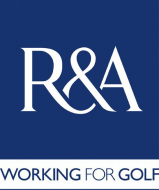 Sharing my R&A Scholarship experience and how it assisted me – A Focus on the work of the STRI and using Measuring Tools to achieve best performance. 19.00 – Dinner in hotel BRDO. 13.00 – conclusion of 19th Days of Education with lunch in hotel Brdo. Anne Mette Dahl Jensen cand. Scient. Ph.D.
Building on years of input and collaboration, and more recently months of trialling by golf facilities and management groups around the world, a brand-new version of OnCourse® is now available, bringing significant business benefits to golf facilities and helping golf improve its social and environmental reputation. The widely-endorsed web-app is an innovative use of technology to provide a practical one-stop solution that helps courses easily assess and record their practices, find ideas and guidance for improvement, and then promote their value to nature, resources and community. At the same time, OnCourse provides golf with a collective system to build an expansive library of shared examples and anonymous data – giving the sport a considerable new bank of evidence to strengthen golf’s image and influence. People using the previous version of OnCourse will discover major improvements including an easier, faster interface and many new features to find and share ideas, track progress, store data and highlights, and create an annual report and webpages. And while still the pathway to take the optional step of becoming credibly certified by GEO, OnCourse has been transformed into a valuable tool providing business benefits every year for all types and sizes of facilities, all over the world. Bjarni Hannesson, Course Manager at Golfklúbburrinn Keilir in Iceland: “OnCourse does a lot. Our team learned a huge amount through the self-assessments, data and document gathering, and the highlights shared by other clubs. It also gave us the story, confidence and the tools to tell our golfers and community more about what we are doing”. Over recent years, many industry bodies have supported the development of the credible and practical sustainability system for golf which includes OnCourse®, notably The R&A, European Tour, Ryder Cup Europe, Textron Golf, Toro Foundation, John Deere and Vidauban Foundation. Now, with additional benefits provided, and after much consultation with clubs and industry leaders, an annual subscription will be introduced in 2018 to contribute to further development of the platform and other not-for-profit work to support and reward sustainability in golf. The regular subscription will be €300/£300/$350 and anyone registered before the end of 2017 will receive 25% off their 2018 subscription. OnCourse has already been adopted by a growing number of national golf associations in recognition of the support the platform offers to member clubs, as well as the ability to more strongly and credibly represent the overall social and environmental contribution of the sport. As a result, in some countries such as Sweden and Portugal, OnCourse is being subsidised by the National Golf Federations, and in the Netherlands the transition to the upgraded version is being carefully supported in the coming months. The British and International Golf Greenkeepers Association is proud to reveal the six members who have been invited to join the course preparation team at THE PLAYERS Championship in May. Held each year at TPC Sawgrass in Ponte Vedra Beach, Florida, THE PLAYERS Championship is considered by many to be golf’s ‘fifth’ major and as such it presents an incredible opportunity for BIGGA members to gain a huge amount of experience, in a once-in-a-lifetime setting. And for the first time this year, John Deere has expanded the programme, allowing a member from BIGGA’s International Region to join in. Central England Region – Nicholas Thorley, greenkeeper at Little Aston Golf Club. South West and South Wales Region – Jamie Blake, head greenkeeper at Broadway Golf Club. International – Craig Cameron, Golf Club St Leon Rot in Germany. Each spring TPC Sawgrass is home to THE PLAYERS Championship, and next year’s event will take place from 8-13 May 2018. The six BIGGA members will receive travel, accommodation, food and uniform as they join the team at the legendary venue for the entire duration of the competition, courtesy of BIGGA Partner John Deere. In addition, John Deere also invites one member of the Golf Course Superintendents Association of Ireland to join the experience. 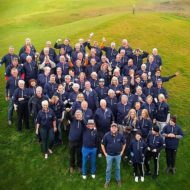 THE PLAYERS Championship is made possible thanks to the hard work and dedication of a volunteer course preparation force of over 90 volunteers from 14 different countries, who join the home greenkeeping team in getting the course in shape for this major event. Following the final day’s play, before heading home, the greenkeepers will even get the opportunity to attempt to hit the 17th hole’s famous island green. In 2016 Richard Johnstone, course manager at Nairn Dunbar, was successful in his attempt and won the actual flag used during the tournament as a prize. Each of the members underwent a rigorous application process, consisting of an online application, submission of a short video and an interview with BIGGA and John Deere representatives. In 2017, South Korean Si Woo Kim became the youngest winner in PLAYERS Championship history at the age of 21. The four students that started EIGCA’s Vocational Qualification in Golf Course Design in Belfast in the spring of 2016 attended their penultimate workshop earlier this month. They were joined by Education Board Members, Alan Walker, Ken Moodie and Niall Glen, to visit the site of their Main Design Project which they will present in Bruges, Belgium at the start of the Annual Meeting in April 2018. The workshop got under way with a presentation and critique session of their previously completed design project by marker and EIGCA Council Member Gary Johnston. The next day and a half was spent exploring and analysing the site that will be used for the Main Design Project. The Main Design Project is the culmination of two years of workshops, online presentations, essays, design assignments and on-the-job experience and will involve the students producing a complete detailed design and tender package for an 18 hole golf course. The students come from four countries across two continents and have varying golf and design related backgrounds and skill sets, from professional golf to civil engineering and landscape architecture, reflecting the diversity of golf course architecture in the 21st Century. Three of the four students are studying under the EIGCA Student Attachment Programme which provides placements at working design practices where students can gain practical experience from an EIGCA member to help and guide them through the programme. The Ransomes TR320 is one of the lightest machines on the market, ensuring that surfaces are kept pristine. A combination of narrow transport width (1.64m (64.5”)), a 1.83m (72”) width of cut, superior slope capabilities and manoeuvrability, allows operators to safely negotiate the tightest of spaces and most challenging terrain. Designed and manufactured at Ransomes Jacobsen’s European headquarters in Ipswich, the TR320 is primarily targeted at the sportsturf and landscaping market, providing a quality maintenance solution for sports pitches, estates, and light municipal applications. You are invited to come along to stand H090 to see the latest innovation from Ransomes. Also, debuting at SALTEX 2017 is the HM600. Built on the foundations of the Ransomes MP wide area mower platform, the HM600 builds upon this, providing users with the ability to run three heavy duty flail mowers with mulching technology from Müthing. With all mowers engaged, the 3.2m width of cut delivers exceptional productivity. The fingertip control of individual units makes trimming around obstacles easy and brings new levels of versatility to flail mowing. Units fold up securely to transport easily between work areas and access confined sites. Ransomes is proud to be sponsoring the SALTEX College Cup for the second time; introduced by the IOG as a brand-new national student-led sports-turf challenge that will take place on the first day of SALTEX 2017. It is an academic test of turf management knowledge for student competitors in teams of four who are enrolled at colleges throughout the UK on relevant courses of study. As one of the groundcare industry’s major manufacturing companies, Ransomes will also be showcasing other municipal mowers plus Cushman utility vehicles, Iseki tractors and turf maintenance equipment from the Turfco and Ryan brands.